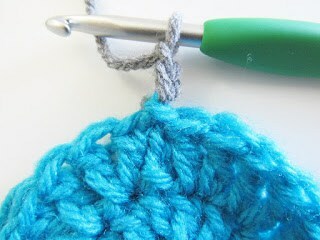 When we change colors in crochet, we would always like to keep it seamless for the best finish. 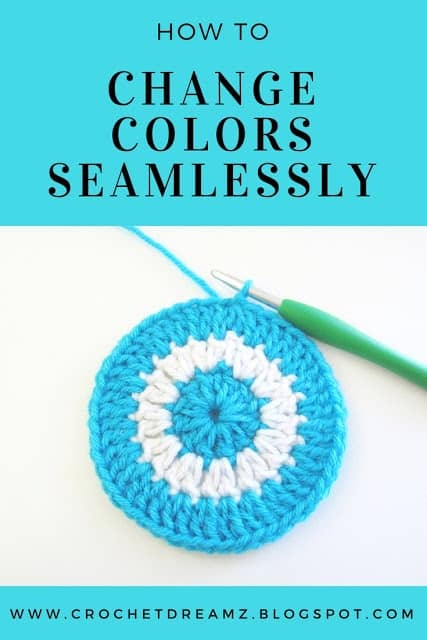 When working in a row, this is achieved by joining the new color when you have two loops left on your hook as shown in the tutorial here, but how do you change colors seamlessly when working in the round? There are two ways you can do that or even three. 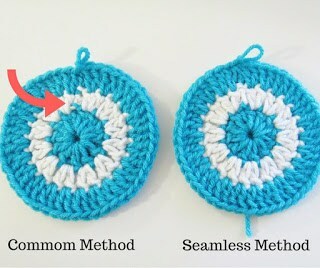 I show you the 2 easier methods and why one is better than the other in this tutorial. 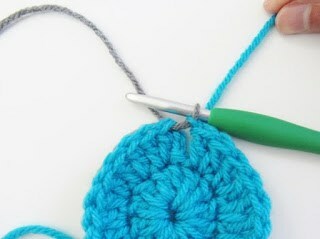 A video is also provided at the end of the pattern. 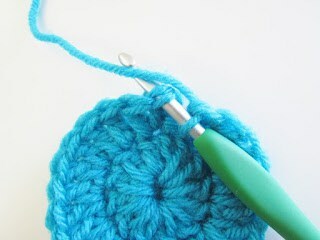 At the end of the round, you will pick up the new color while you slip stitch into the first stitch. 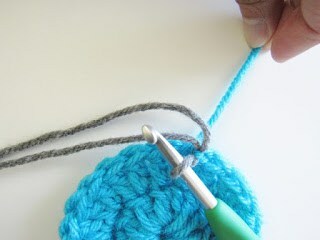 Insert your hook into the first st, yarn over the new color and pull through the stitch and the loop on your hook to complete the slip st.
Make the turning chain in the new color joined and continue your round. Repeat the same at the end of each round. 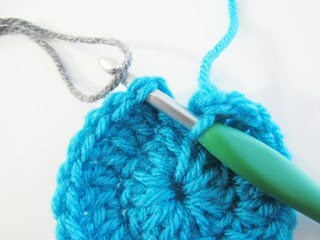 In this method, at the end of the round, slip stitch into the first stitch of the round. 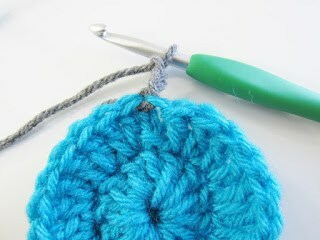 Now, yarn over the new color through the loop on your hook. Tug the previous color until that loop disappears. 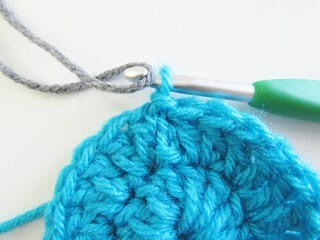 Make turning chain in the new color joined and continue your round. You can see the difference in the picture above. That made my day, thank you so much :).